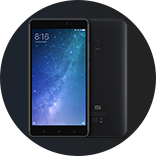 [Q&A] mi max 3 actually recently updated miui 10.3 headphone jack not working . [Q&A] mi max 3 fake global rom? [Q&A] xaiomi 8 lite, pubg aint working. [Q&A] Pano ma hide yung notch ng mi 8 lite? [Q&A] saangs ervice center ng xiaomi ko pwede ipalinis ung rear camera ko? [Q&A] broken screen of mi 8 lite. where can i go to repair it? [Q&A] this good for gaming like mobile legends? [Q&A] How can I change xiaomi browser from Chinese to English?